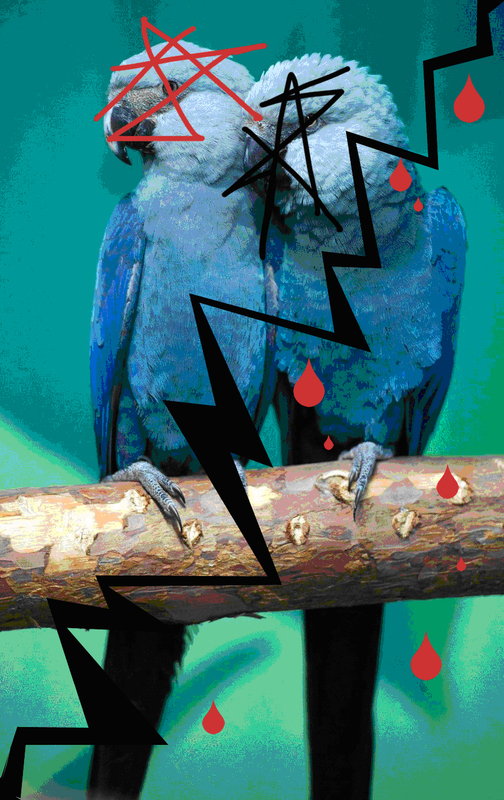 Blu macaw has been officially classified as ‘extinct in the wild’. This entry was posted on 8 September, 2018 in homepage and tagged Elena Caldera, Heathcote Williams. Bookmark the permalink.